YOKOHAMA, Japan - Nissan's global electric vehicle sales jumped 10% last fiscal year, driven by growing customer demand for the zero-emission Nissan LEAF, the world's best-selling EV. "The strong performance of Nissan's EV models globally is a testimony to our expertise and leadership in electric vehicle technology," said Nissan Executive Vice President Daniele Schillaci, who heads the company's electric-vehicle business. "The unprecedented response to the most advanced electric car in the world, the Nissan LEAF, contributed significantly to the robust growth of Nissan in 2017. The Nissan LEAF is the best-selling electric car in the world, with the widest reach and the greatest availability. We expect its continuous leadership in 2018." 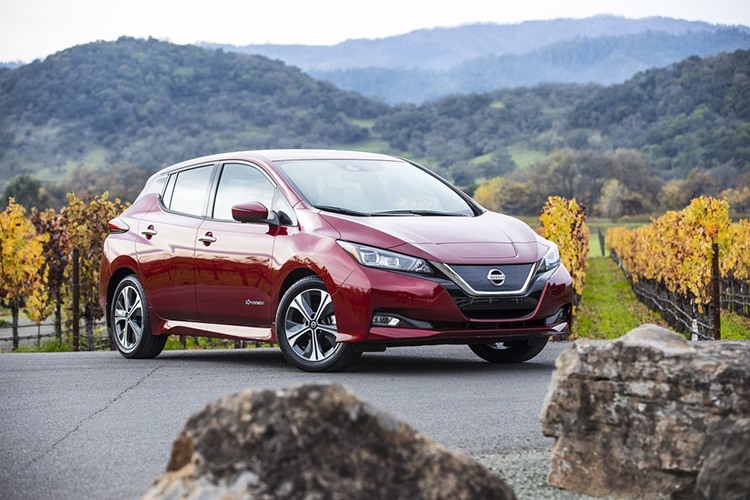 The new Nissan LEAF received a 5-star safety rating from the Japan New Car Assessment Program in February. The model's ProPILOT autonomous driving technology helped it score 94.8 points out of a possible 100 for occupant safety in a collision. Other features that contributed to the rating include its highly rigid body structure, six SRS airbags, seats with enforced headrests and back frames, and seat belts with pre-tensioners and load-limiting capabilities for the front and rear outboard seating positions.